Monsanto Company TODAY announced the completion of a $31 million expansion at its Seminis vegetable seed research headquarters in Woodland, CA. The expansion includes a 90,000 square-foot state-of-the-art research laboratory and office building, establishing the location as Monsanto’s primary site for molecular breeding of vegetable seeds. 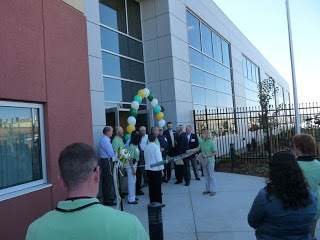 Unveiled today during a special open house, Monsanto’s lab in Woodland is the largest of its kind in the world for vegetable seed health testing. 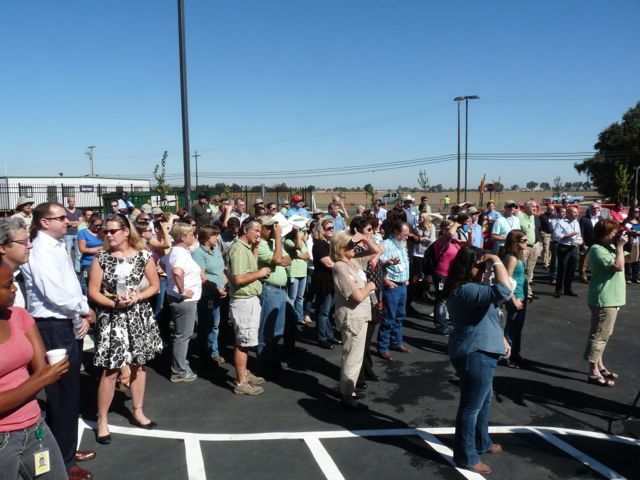 The facility’s open house attracted more than 100 attendees interested in seeing how Monsanto provides its customers quality seeds with requested traits, and good taste and nutrition for its consumers. A Ribbon Cutting event just prior to the Open House. Steady growth in the vegetable seed business over the past few years at the Woodland site spurred the expansion. This facility employs approximately 250 full-time personnel and 150 contract seasonal employees. Traditional breeding remains Monsanto’s main focus in its research on more than two dozen types of vegetables. Yet, the expansion includes the addition of a seed chipper process created by Monsanto engineers. Analyzed seed chips (small parts of the seed) enable research breeders to know the characteristics of a plant—before it is planted. Breeders then conduct more efficient research trials to pinpoint vegetable traits that will improve grower productivity and provide consumers with improved benefits such as better vegetable taste, color and quality. The open house accompanied the 2013 Woodland Field Day at which eight Seminis breeders showed their research and how it is designed to meet the demands of growers worldwide and consumers who seek more nutritious vegetables in produce isles everywhere. Tomato breeder Alan Krivanek noted that Seminis is working on fresh market tomatoes with the economy of choice for consumers. “We want growers to have a great tomato to grow and earn a profit, but we also want consumers to have a choice on flavor, color and nutritional value,” he said. Watermelon breeders Greg Tolla and Jerome Bernier brought out some seedless watermelon lines with wonderful Brix and good 45 to 60-size count. 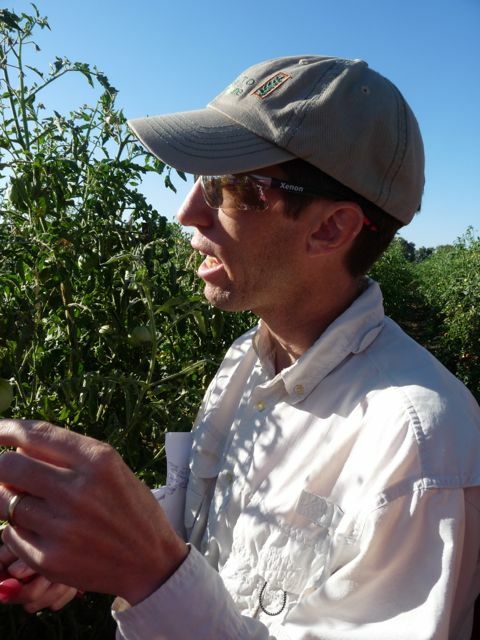 “Our newest oblong-striped seedless, SV0241WA, is a good yielder for the grower and very adaptive to all growing areas in the country,” he said. “This variety is part of our overall portfolio of good producers, 36, 45 and 60s with a good range of resistance to Anthracnose, Fusarium and Powdery Mildew,” Bernier said. Bernier and Toll are breeding watermelons for all the Americas, Europe, the Middle East and Australia. Nearly all the varieties in the trials are seedless types, but these breeders also work on some valuable seeded types that are still enjoyed around the world. 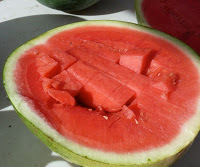 A New Seedless Watermelon line. 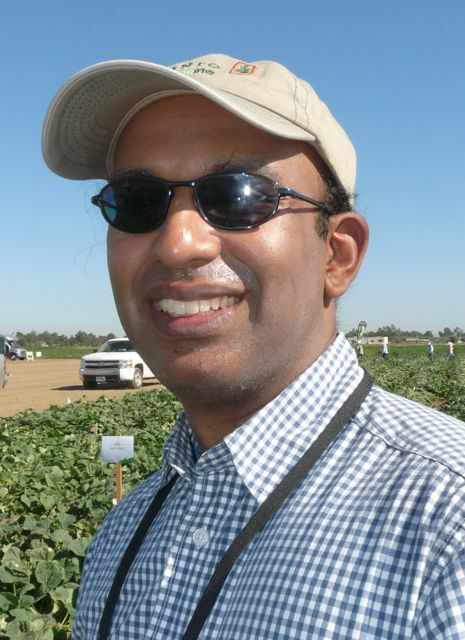 Cucumber breeder Nischit Shetty went over his special lines that include pickling varieties grown throughout the U.S. and on about 6,000 acres in the San Joaquin County. “We have many cucumber lines for the slicing market,” Shetty said. 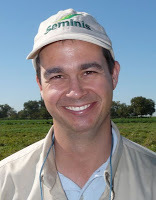 “One of the big areas that Seminis has been addressing on is Downy Mildew Resistance, and we have two commercial slicing variety hybrids, SV3462CS and SV4719CS, that are showing enhanced levels of Downy Mildew resistance,” he noted. 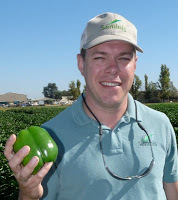 Brian Just is a sweet pepper breeder; he highlighted a commercial variety of green bell pepper called Huntington. “The feedback from growers has been positive as Huntington is showing great adaptation for nearly all micro-climates, including the Fresno and the coastal growing areas as well,” he said. Just said that Huntington is a small and sturdy plant with dense foliage that provides a canopy to protect the fruit from sunburn. “It also has Tomato Spotted Wilt Virus (TSWV)-resistance that is holding up very well, and it is a great yielder,” he noted. Marlin Edwards, the Seminis Chief Technology officer said the Woodland operation does everything it can to ensure that we deliver quality seeds to our customers around the world.